Hardin Art Studios: Why So Serious? Ever since Batman: The Killing Joke: The Joker has been my favorite comic book villain. In November I lucked out and got to draw him in an issue of Brave and the Bold. Here's a page form issue 31. Check it out! Classic, twisted Joker at his finest. 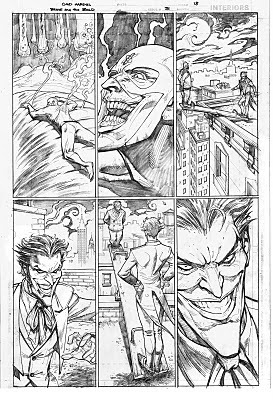 Love the way you handled this page, and the angular features of the Joker too.